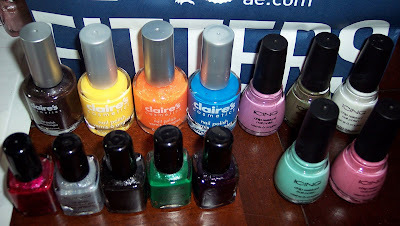 I like the Claires polish a lot so far, first time I've tried them. I changed the theme on my phone, I like it and don't like it at the same time! 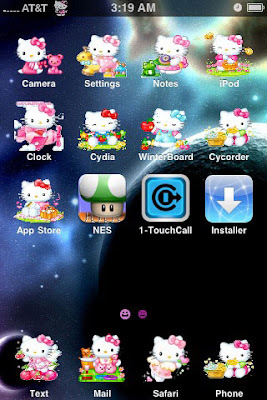 I think it's going to grow on me since it has a cute lockscreen, text message window and other adorable little things. I just love gadgets. Any of you going to buy a Palm Pre next month? This is what I've been wearing for a few days, definately time to change it tonight! 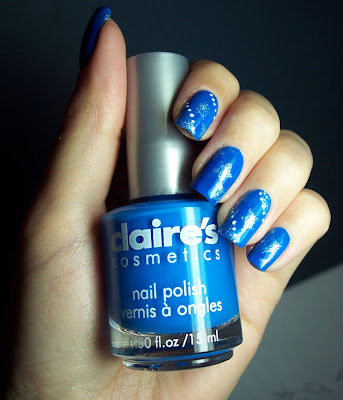 Claires Blue Neon with silver glitter stars on top. Boom Blox Bash Party (the second Boom Blox) came out last week in the US, I can't wait to play this! If you have a Wii you should definately try Boom Blox it will make your arm fall off and you won't even care. I might have to wait until my birthday tho aaaaah. Edit: I had to throw in a video for Boom Blox 1, you have to see to believe! Yay for Hello Kitty! Nice blue you've got there! your nails are always so pretty! and im glad you put up that vid for boom blox, i;ve been looking for a new game for my wii!!! Alexlyndra - it's my new favorite blue! chunkee munkee - thank you, hope you try Boom Blox it is super fun! Hey Olivia - We got him BB for Xmas I'm not sure if he liked it or not honestly lol. Dark Spire eh... I haven't played DS in a year or so, no games sounded good. Did you guys get the DSI? I'm waiting til they make a pink one, made that mistake with the ds lite (asking for it too early). 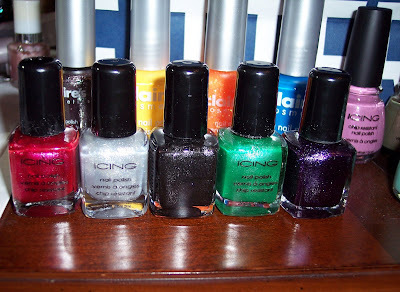 I am loving Claire's polishes. Also the Icing. I don't own any but I see them on all the blogs. There are so many gorgeous shades. Love that blue and it looks so pretty on you.